. Published on March 31, 2019 . 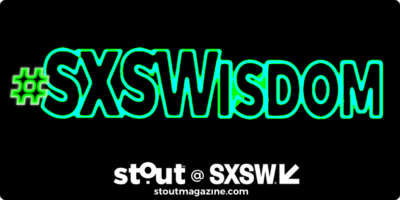 Why have we here at Stout been so pumped about covering SXSW 2019? 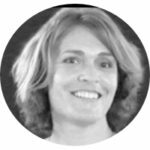 First and foremost, it aligns closely with our mission of breaking down the best thought leadership from all levels for our readers to apply to their own purpose and goals. 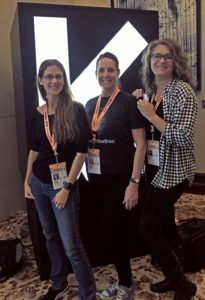 But we’d be lying if we didn’t ‘fess up to the fact that drinking from the informational fire hose, while incredibly exhausting, is also incredibly inspiring. Spending seven days with top global thought leaders — some famous, some not — is life-changing. And our goal is to bring that experience to you as faithfully as possible. We covered the Interactive portion of the event (with a bit of dabbling in the other main segments of Film and Music). 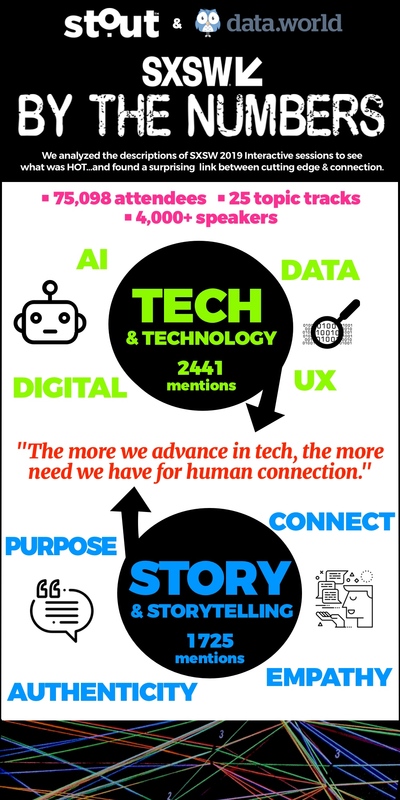 The word “interactive” tracks to “technology” for most people and at first glance that’s in line with the numbers our petabyte-crunching friends at pioneering startup data.world ran for us. 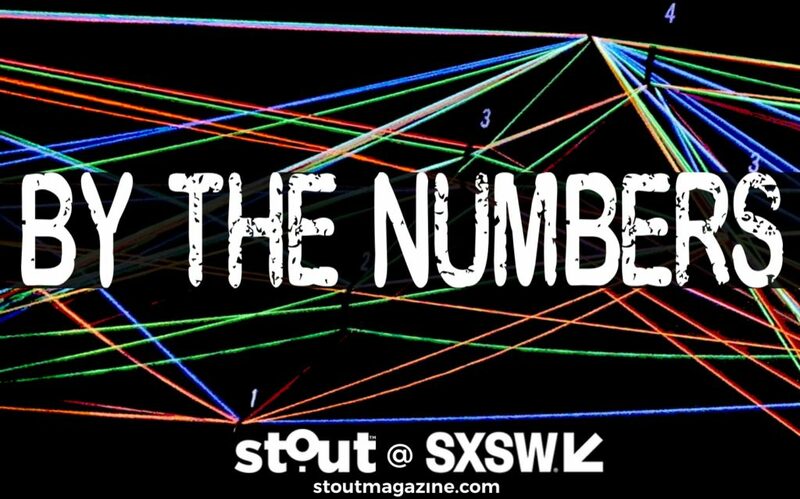 In analyzing the descriptions of SXSW’s Interactive sessions, “tech” and “technology” were mentioned a whopping 1773 times. Super-hot subtopics AI and data pulled in another 668 mentions. But here’s where things got really interesting. ▪ Connection and connecting showed up 360 times. ▪ Passion and purpose clocked in at 300 occurrences. ▪ Authenticity, truth, transparency and bias – Being “real” – had 223 mentions. ▪ And most interesting of all, vulnerability, empathy and emotions racked up 121 appearances. It seems the more we advance in tech, the more need we have for human connection. The Stout team on a quick break between sessions. 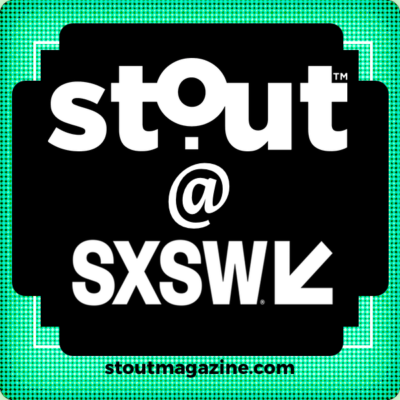 As Stout carries our March “Momentum” into a months-long inspirational adventure, we will continue bringing you clear, honest and actionable insights from our experience inside SXSW 2019 in Austin. The leaders we encountered generously shared their legacy of learning. 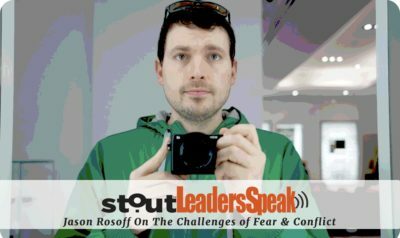 By encapsulating powerful Stout takeaways from the bold, brave and determined, we hope to provide some amazing fuel for your own journey in achieving success and recognizing the leader within. 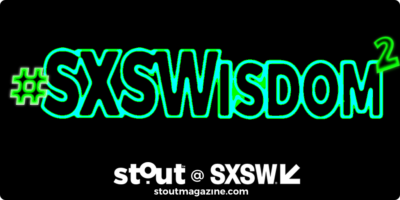 PS – If you just can’t wait for the stories to come, check out some of the #Stout insights we brought back from last year’s SXSW!